7th Floor Media asked me to design a map of Alberta which would be part of an interactivity they were developing for Calgary’s Bow Habitat Station. The resulting map is a design that compliments the colorful exhibit space. The map is projected from the ceiling onto a large plexiglass surface which is cut into the shape of the province. 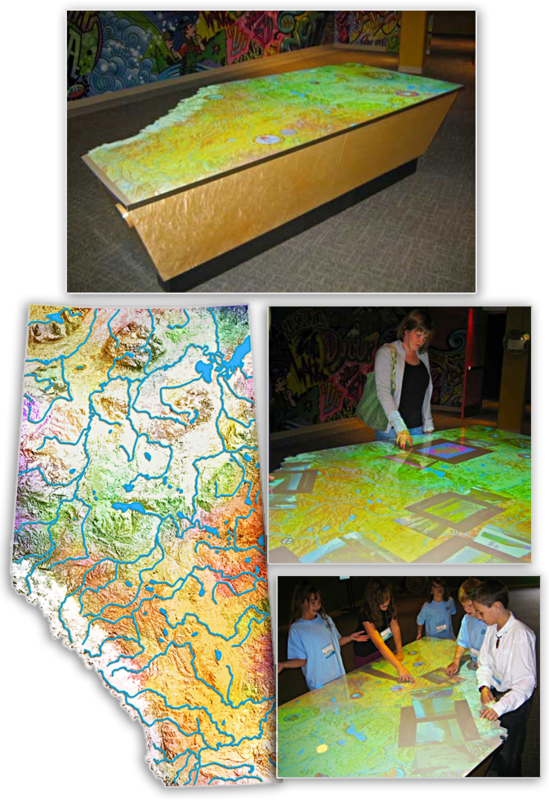 When visitors interrupt the light beams with the touch and movement of their hands, they can explore resizable images and video illustrating topics such as water usage, agriculture, nature, people, and industry.